In recent months, social circles and celebrity photographers have been buzzing about Julia Jackson and her appearance in photos with several notable celebrities. She was seen with Harvey Weinstein and Zac Posen at a pre-Oscar dinner for A-listers held at the Weinstein Company last year. She was also sighted chatting with Keira Knightley, Lady Gaga and Taylor Kinney at the party. Other A-list guests included Jared Leto, Anna Wintour and Jennifer Lopez. Julia was representing Jackson Family Wines, and representatives from other big-name beverage companies such as DeLeon Tequila and FIJI water were there as well to sponsor the event. In another photo from the event, Julia was seen giving a smiling Lana Del Rey a gift bag. The pre-Oscar dinner at the Weinstein Company was not the only event where Julia has been seen chatting with A-listers. Photos surfaced of Julia attending the 2017 Mercedes-Benz Academy Awards Viewing Party. She was there with famous people such as Tracee Ellis Ross, Lorraine Toussaint and several others. American celebrities and socialites are not the only people who seem to be fond of Julia. She and her family were invited to attend the Royal Ascot at the Ascot Racecourse earlier this summer. Julia and her family posed for a photo with the Duke and Duchess of Cambridge during the event. Getting a photo opportunity with the highly respected British royal couple is not something that even every celebrity is able to do. The winning jockey and his trainer were also featured in the photo. Julia has attended many other notable events in recent years. She was photographed in New York City with Nilou Motamed, Barbara Banke, Christina Grdovic, Marc Murphy and Tom Colicchio at the 2016 Food & Wine Best New Chefs event in 2015. She was also at the Amfar’s Inspiration Gala in Los Angeles in 2015 with famous names such as Jaime King, Emma Roberts and Gwyneth Paltrow. At the 2015 Tony Awards in Hollywood, she was photographed with Lou Fabrizio. Julia has attended many top fashion shows and events including the Mercedes-Benz Fall Fashion Week gatherings in 2015. How Does Julia Rub Elbows With A-list Celebrities And Royalty? Many envious socialites and celebrity photographers are wondering how Julia has such a respectable cache of photos with A-list celebs and even British royals. Is it her impressive fashion? As someone who loves fashion, Julia always looks like a million dollars. At the pre-Oscar party where she was seen with Lady Gaga and Lana Del Rey, Julia wore a gorgeous low-cut Natalia Fedner dress in a rich green color. Natalia Fedner is known for unique haute couture knit evening wear. Everyone knows that the Duchess of Cambridge is one of the top goddesses of fashion, and Julia managed to look just as beautiful as the new royal herself at the Royal Ascot event in an elegant pale rose dress and hat ensemble that accentuated her flawless complexion. Even some of the most driven fashion divas do not make it to so many notable events. for those who have met her, it might also be believable that Julia’s charming and warm personality helped her through the door. 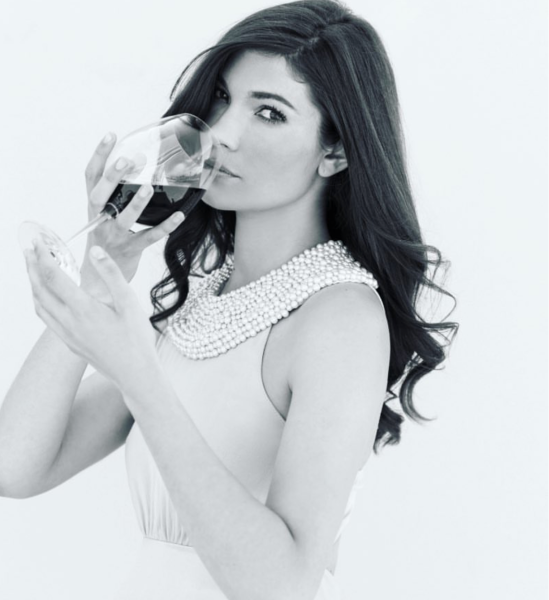 Although her stunning beauty, attractive personality and great fashion sense make her that much more interesting, Julia has earned her spot in those photos through respect for her family’s wine brand. Julia is the middle daughter of the late Jess Jackson. Jess was one of the most notable winemakers among A-list celebrities for many years. At the young age of 28, Julia now takes on a great deal of responsibility for maintaining her family’s stellar reputation for producing quality wine. Julia spends most of her time in Napa Valley and Los Angeles. 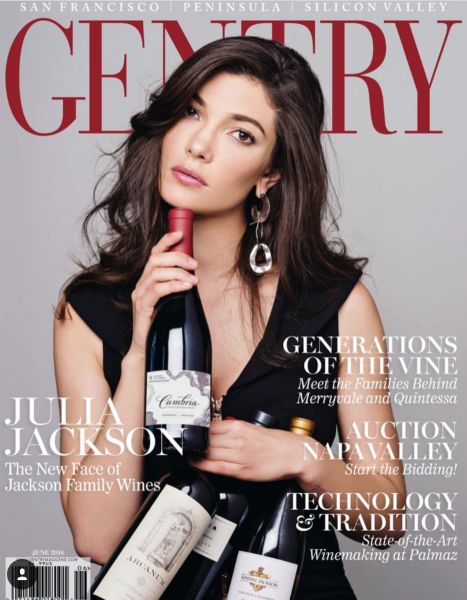 Jackson Family Wine was served at the pre-Oscar dinner at the Weinstein Company and has been featured at many other galas, fundraisers and A-list events. With a bachelor’s degree from Scripps College and a master’s degree in business from Stanford, Julia is sure to continue being an asset to the family’s business. In addition to extending a personal invitation to visit the Cardinale Winery in Napa Valley, Julia gifted the attendees of the pre-Oscar dinner with a bottle of Sauvignon Blanc that was made by the family winery’s celebrated winemaker Chris Carpenter. One thing that is sure about the celebrity photos of Julia is the undeniable enjoyment expressed by famous people when they talk to her. Since Julia is a powerful combination of business expertise, charm, beauty and style, expect to see many more pictures of her with A-list celebrities, royalty and respected icons in the near future.